SOLD Poland according to the newest observations by Herman Moll Geographer. Size: 7.25 x 10 inches. Published in Herman Moll's "A Complete System of Geography" 1711. 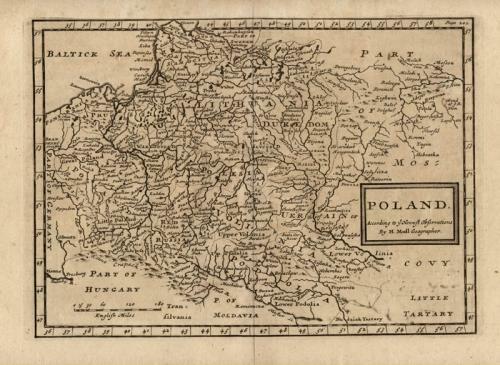 A finely engraved map of Poland.